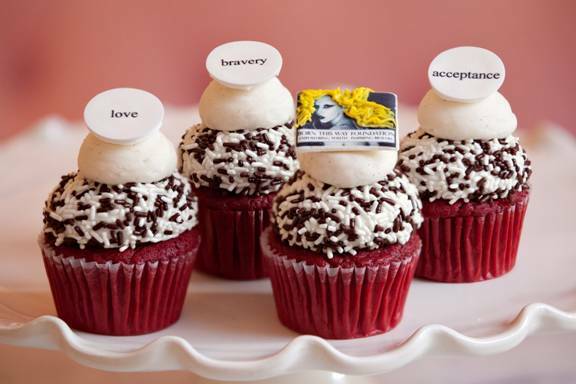 In honor of Lady Gaga’s Wednesday visit to Harvard University’s Graduate School of Education to unveil her Born This Way Foundation, Sweet creates the Be Sweet cupcake with custom-made Lady Gaga and inspirational word edible fondant toppers atop an assortment of flavors like vanilla, chocolate and red velvet. 100% of the proceeds of Be Sweet cupcakes sold at Sweet’s Harvard Square location on Wednesday, February 29, 2012, will go to the singer’s non-profit Foundation. Prices are $4.25/each, $48/dozen and $64/for 16. After February 29, Be Sweet cupcakes will be available by special order online until March 29, 2012. Click (here) to visit the Born This Way Foundation website. Click (here) to visit the Sweet website. 0 Response to "Lady Gaga Coming to Boston - 3/29"